My son belongs to the digital era. He loves to play on cellphone or tablets and even on our laptops. Just imagine how a 3-year old boy gets to memorize my alphanumeric password so he could have an access to my laptop. 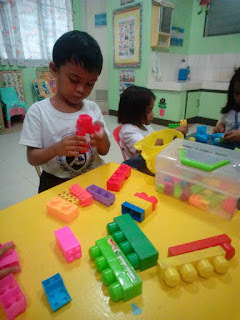 We are partly to be blamed of his "addiction" to gadgets because he was already exposed to it as early as his first year because that was used to be his pacifier when he was on tantrums before. We were actually quite alarmed of his exposure to gadgets that is why we limit his usage now. 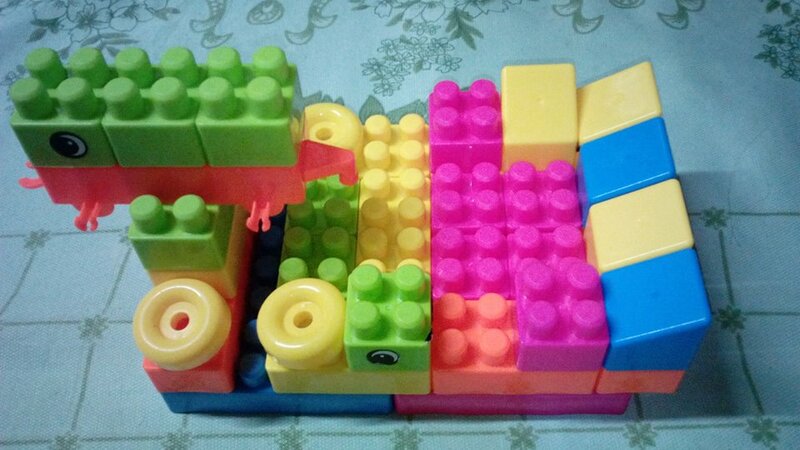 Since he is the type who is very hyper, his father bought him a blocks for him to play on. We are also glad because he really loves playing blocks. In fact, that was what he usually watched on YouTube- Lego creations. Right now, he has limited time for movies, gadgets, and more time for physical activities. For Moms out there, be resourceful in providing your kids with something that will keep them busy- not with gadgets but with toys that will enhance their creativity.